Oh, yes...I wish we had some of that rain! The flowers are gorgeous,what a lovely color of pink....beautiful photos as usual! 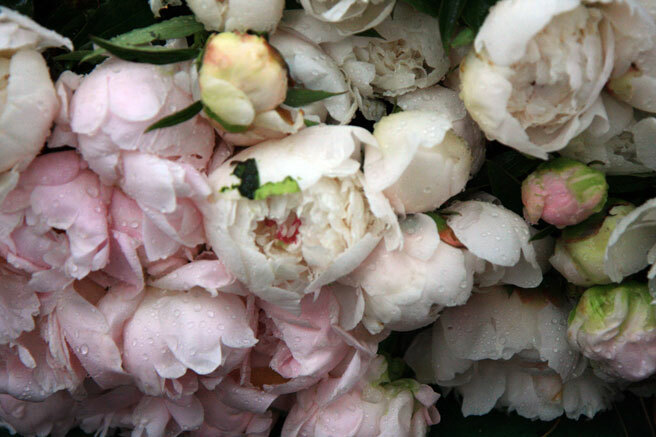 could peonies be any more lush or gorgeous? Arrrhhhhh...peonies...sigh.... you've captured the transient essence of these gorgeous flowers perfectly Lucy. Gorgeous as always. The peonies look like frosting, I want to spread them on a cake and eat them! Be thankful for your lovely rain. I live in California where temperatures have been in the 100-degree mark all week and fires rage all around us. I have been following the story closely. You have my thoughts and prayers.